Alberta has begun monitoring oilsands emissions from the sky. 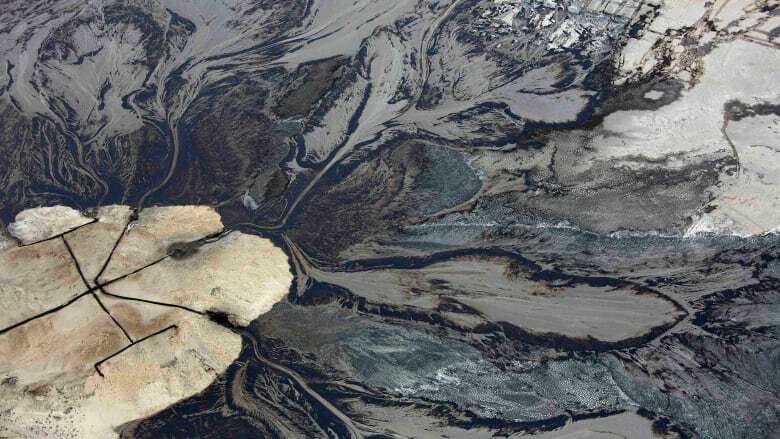 The province's environmental monitoring agency is using airborne sensing equipment to measure the release of greenhouse gases and other chemicals from oilsands mines north of Fort McMurray —a program being expanded to cover all of Alberta's heavy oil and bitumen production. "We're trying to get a better inventory of what's coming off of where," Fred Wrona, the province's chief scientist, told The Canadian Press. Airborne monitoring recently revealed that greenhouse gas emissions from some parts of the oilpatch have been badly underestimated. Wrona said the program is already analyzing about 100 hours worth of flight data recorded in October over the oilsands mines north of Fort McMurray. The data was collected by a plane from the National Oceanic and Atmospheric Administration, a top U.S. government research institution. The plane was measuring methane, carbon dioxide, ethane and other chemicals from both oilsands mines and in situ facilities. The program will be expanded in the new year to cover heavy oil and oilsands operations in the Cold Lake area and the Peace River area — including around Three Creeks, which has seen years of controversy over powerful odours from energy facilities. "We're not just concentrating only on the Fort McMurray operations," said Wrona. "We're trying to get a holistic perspective on the range and type of oilsands operations that occur." All those regions already have ground-based air monitoring. While those stations provide important data, the airplanes have several advantages. "We get a lot more detailed information by running an aircraft," Wrona said. "We can do a much broader scale." The planes will allow scientists to separate out what's coming off mine faces, tailings ponds, as well as the background levels. They will also enable researchers to determine the background level of such emissions before future development. "We'll have information on how to actually inform what needs to be done for improved mitigation and where those efforts have to be taken," Wrona said. Wrona said the results from the October flights will be ready in the new year. A recently published paper by scientists at Carleton University used airborne monitoring over two Alberta oilfields to look for methane, a potent greenhouse gas more than 30 times more powerful than carbon dioxide. It concluded that industry estimates of methane releases were quite accurate for conventional oilfields. But the area producing heavy oil was releasing 3.6 times more methane than previously thought. The study's authors wrote that if such underestimates exist in other non-conventional oil fields, Alberta will have to cut twice as much methane emissions to meet its reduction goal of 45 per cent by 2025. Industry supports the goal, but has warned it will have cost implications. Both the province and the federal government are in process of creating new regulations on methane releases in consultation with industry.